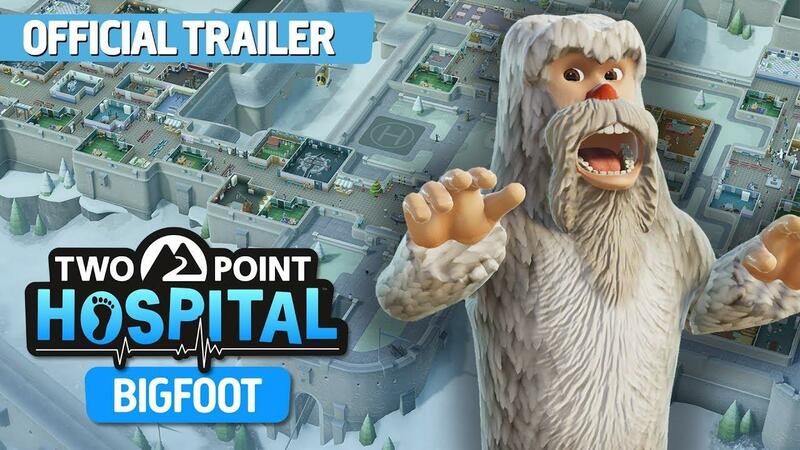 Two Point Hospital has expanded already with the first DLC already available and it does sound pretty good. Despite some shortcomings, Two Point Hospital is a great game for those who aren't looking for something serious. I enjoyed it a lot and certainly even more with a recent update adding in the extra sandbox mode. The new Bigfoot DLC was announced and released at the same time, adding in multiple new ailments to cure like Barking Mad, Mechanical Metropolism, Reptilian Metropolism, Bard Flu, Knightmares and Monster Mishmash. There's also entirely new hospitals for you to run and new decorative items, so there's plenty on offer. You can grab the game and DLC on Humble Store and Steam. I really should get back into this. I think I was on the fourth or fifth hospital in the "storyline". Can someone please extend the weekend by approximately 16 days so that I will have enough time to play all the awesome games that I want to play but am currently neglecting? Ta. I love this game. Haven't completed the base game though. Damn, even more content. I am also at hospital 5 and I don't know which game to play through at first. We have so many great sim games on Linux today. Seems like a good dlc with a fair price.